Capital Times “The Madsplainers” Podcast: what is the local voices network? On the Madsplainers, the Madison Cap Times podcast about local government and civic affairs, Abby, Lisa and Erik break down how the project works, reflect on their own experience in an LVN conversation, and discuss how the LVN team hopes it will change the U.S. political landscape for the better. Mar 10, 2019 –– Communicating with each other in our neighborhoods, communities, as well as our state and nation, just got easier with some new technology called the "Digital Hearth". Local Voices Network is working to bridge the communication divide in these very challenging times with this new technology. Feb 19, 2019--Cortico, a nonprofit organization with the mission of fostering constructive public conversation in communities and the media, today announced it had received an additional $2 million in funding from the The John S. and James L. Knight Foundation as part of a new $300 million, five-year commitment that seeks to rebuild the future of local news. This is the second grant to Cortico from Knight Foundation, with the first announced in September, 2017 for $900,000. Kathy Cramer, a UW-Madison political scientist, as been observing this trend and wrote a book called The Politics of Resentment. “So much of our social media is designed to incentivize communication that provokes,” Cramer said. “The incentive is to post something that people are going to retweet or like. More often than not, what we put out there is junk. It’s not along the lines of listening. It’s not intended to say, ‘Here’s how I understand this.’ It happens sometimes, but not often. We think that there is a lack of communication that enables us to talk with one another, to get a sense of what is going on in each other’s lives.”Rev. 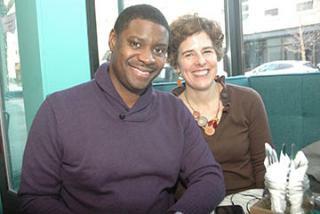 Everett Mitchell, who is also a Dane County district judge agrees. The Local Voices Network approach was announced recently at a community meeting, and the Cap Times is partnering with Cramer, Roy and others in the effort. In fact, Cramer promoted Madison as a trial site in part because of media here. 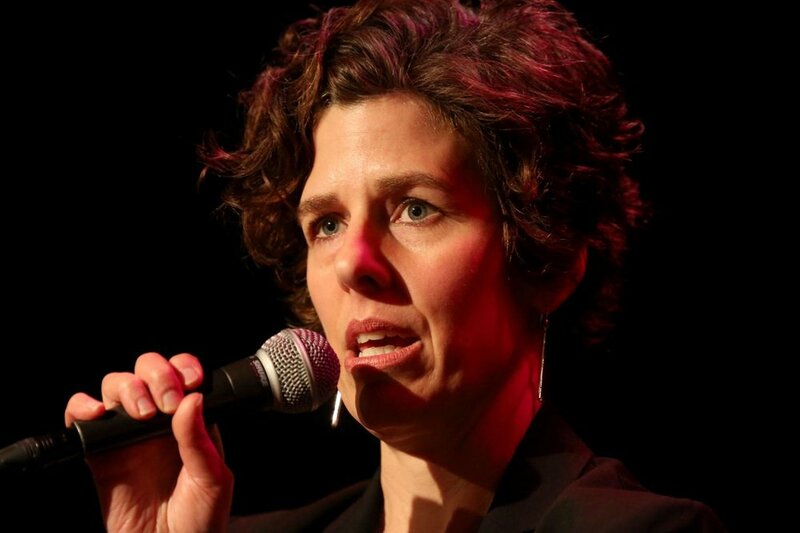 Within what she described as a “very rich local media environment,” she told her partners that the Cap Times in particular was community-focused and would likely embrace the project. “I didn’t know for sure, but I was hoping,” she told me recently. During the 2019 Madison mayoral race, city residents will be able to have conversations with trained facilitators around “digital hearths” as part of an experiment to foster healthy local discourse and create deeper understandings between the public, journalists and elected officials. University of Wisconsin-Madison political science professor Kathy Cramer, author of "The Politics of Resentment," and a media analytics team from Cortico, a nonprofit organization that uses artificial intelligence to assist journalists tell stories, and Massachusets Institute of Technology's Laboratory for Social Machines will be testing the new platform, called the Local Voices Network, in Madison between Jan. 2 and April 2. Technology has potential to bring us closer together, but we’re experiencing quite the opposite: a world where people are splintered by technology into insular tribes where hateful discourse, false news, and extremism flourish. This problem isn’t just limited to social media platforms such as Facebook and Twitter. It’s also an issue in other forms of mass communication, such as talk radio and cable television. But we believe we can still bring technology to bear — with very human help — in a more positive way. At Cortico, supported by research from MIT’s Laboratory for Social Machines (LSM), we’re testing a unique physical-digital network designed to bring local voices and common ground concerns back to the center of a measurably healthier dialogue. FORBES: Can Twitter's Bid To Make The Social Media Environment 'Healthier' Possibly Work? Twitter identified its first task as developing a way to measure the health of a public conversation, and after a public search for proposals, began partnering with Cortico, a non-profit that describes its methodology as an “AI-fueled media analytics technology”. For Roy and a number of other researchers who study the internet’s impact on society, the most concerning problem highlighted by the 2016 election (is) that we have all, quite voluntarily, retreated into hyperpartisan virtual corners, owing in no small part to social media and internet companies that determine what we see by monitoring what we have clicked on in the past and giving us more of the same. In the process, opposing perspectives are sifted out, and we’re left with content that reinforces what we already believe. 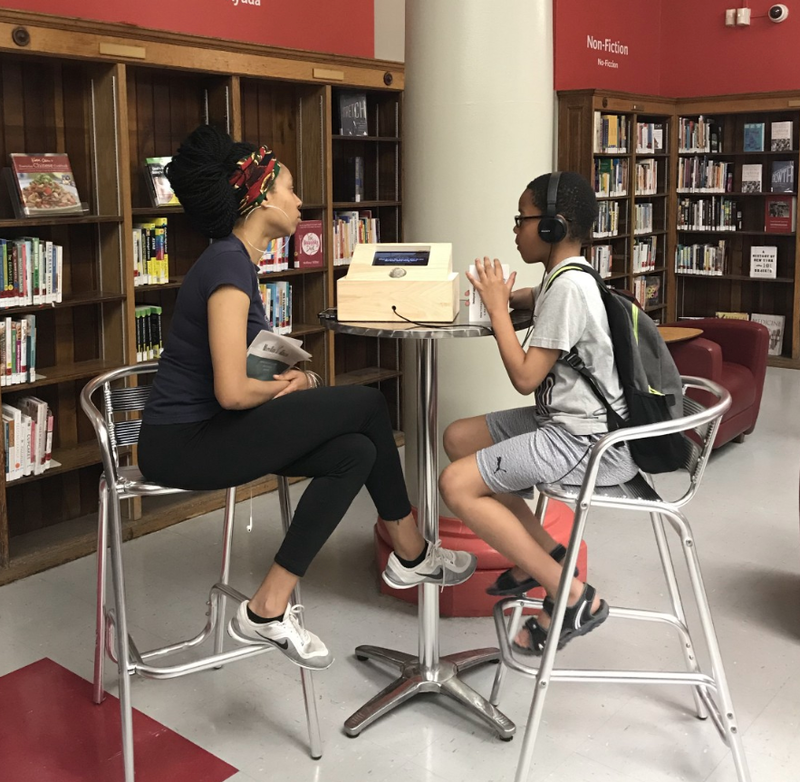 Cortico's collaboration with Mott Haven Herald and Craig Newmark Graduate School of Social Journalism (CUNY) brings "listening boxes" to the local public library to better understand the concerns of the community. People love hearing what their neighbors have to say. We preloaded the box with some sample recordings I had gathered in the neighborhood before we set ourselves up in the library. The recordings elicited neighborhood pride and recognition and occasionally would act as an impetus for people to talk more and respond to what their neighbors had said. On its company blog, Twitter said it was inspired by Cortico, a nonprofit research organization that is trying to measure “conversational health” with four indicators: shared attention, shared reality, variety of opinion and receptivity. Research project finds humans, not bots, are primarily responsible for spread of misleading information. “When we removed all of the bots in our dataset, [the] differences between the spread of false and true news stood,”says Soroush Vosoughi, a co-author of the new paper and a postdoc at LSM whose PhD research helped give rise to the current study. The study provides a variety of ways of quantifying this phenomenon: For instance, false news stories are 70 percent more likely to be retweeted than true stories are. It also takes true stories about six times as long to reach 1,500 people as it does for false stories to reach the same number of people. When it comes to Twitter’s “cascades,” or unbroken retweet chains, falsehoods reach a cascade depth of 10 about 20 times faster than facts. And falsehoods are retweeted by unique users more broadly than true statements at every depth of cascade. Falsehoods almost always beat out the truth on Twitter, penetrating further, faster, and deeper into the social network than accurate information. NEW YORK TIMES: It’s True: False News Spreads Faster and Wider. And Humans Are to Blame. As a result, false news travels faster, farther and deeper through the social network than true news. The researchers, from the Massachusetts Institute of Technology, found that those patterns applied to every subject they studied, not only politics and urban legends, but also business, science and technology. Deb Roy, former chief media scientist at Twitter, is engaged in a project to improve the health of the information ecosystem. In fall 2016, Mr. Roy, an associate professor at the M.I.T. Media Lab, became a founder and the chairman of Cortico, a nonprofit that is developing tools to measure public conversations online to gauge attributes like shared attention, variety of opinion and receptivity. The idea is that improving the ability to measure such attributes would lead to better decision-making that would counteract misinformation. Mr. Roy acknowledged the challenge in trying to not only alter individual behavior but also in enlisting the support of big internet platforms like Facebook, Google, YouTube and Twitter, and media companies. MIT TECHNOLOGY REVIEW: Twitter wants to reduce the “health” of its conversations to four numbers. Good luck, say experts. What defines a “healthy” conversation? To get people thinking, the company pointed to four principles of public-sphere health developed by Cortico, a research nonprofit working with MIT’s Media Lab. These principles include things like whether the people discussing an issue are using the same facts and how open they are to listening to others’ opinions. Financial Times: How healthy are your online conversations? We track health by numbers. Temperature, blood pressure, weight. Completing a hundred sit-ups, eating an apple a day, or chugging three bottles of Soylent in Silicon Valley. Mr Dorsey's tweetstorm echoed Facebook chief executive Mark Zuckerberg's quest to make his social network a home for "meaningful connections". The companies long motivated by a mission to connect the world now want to prove that the connection can be positive. Cortico, a non-profit connected to MIT, is already doing intriguing work on diagnosing the health of public discourse. 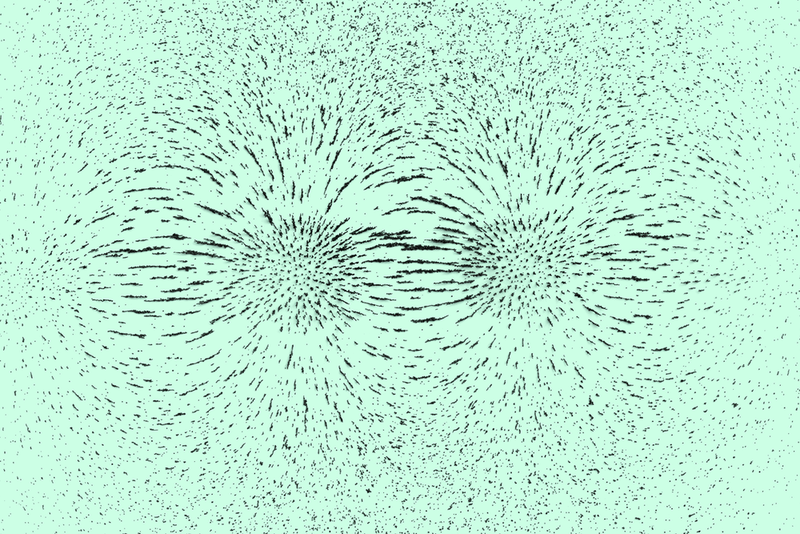 It wants to measure the degree of tribalism, shared attention and receptiveness to other opinions online - and then surface new voices and work to bridge tribes. It’s not clear how you measure the health of a human interaction (or a human-to-bot interaction), but Dorsey intends to find out. He mentioned Cortico, a nonprofit that proclaims a mission on its website to “foster a healthy public sphere,” as an organization that is inspiring Twitter’s work. WIRED: WHAT WOULD A 'HEALTHY' TWITTER EVEN LOOK LIKE? The social network borrowed the four “indicators” from Cortico, a non-profit research organization affiliated with the MIT Media Lab. Herring says that most of Cortico’s indicators are reasonable, and that it would be possible to craft an empirical study in which they could be measured. For example, one group of researchers could craft a simple study to test whether people are generally talking about the same things by analyzing the key words they use. Researching other questions, like whether users are open to hearing new ideas, might be more difficult to quantify. Herring acknowledged that the social network would need to eventually be more specific in scope, but that it was fine to start with fairly broad questions. Twitter’s media science chief says machine learning will help journalists understand a world fragmented by digital technologies and political polarization. What’s needed, he says, is an approach to bridging political and societal divisions. He sees Cortico, a nonprofit he’s launched in collaboration with the Media Lab, as part of that effort. It plans to give existing newsrooms and local news entrepreneurs access to top-class machine learning, natural-language processing, and other tools. Reporters can use them to mine multiple data sources, identify grassroots concerns, and then develop stories that emphasize common ground between citizens with differing political views. 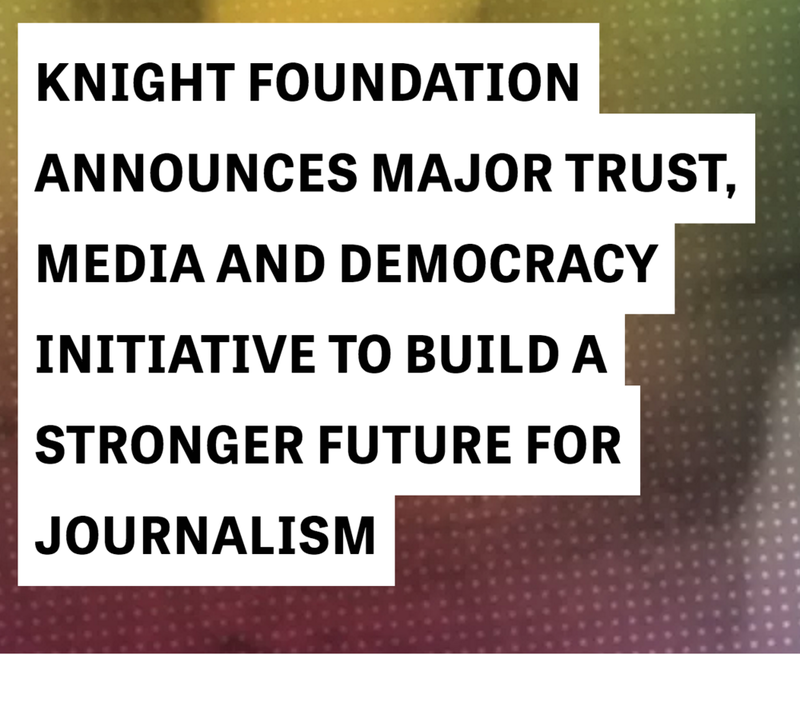 The Knight Foundation puts $4.5 million into seven projects aiming to restore trust in media, and convenes an all-star Commission in Trust, Media and Democracy. Can they make a difference? 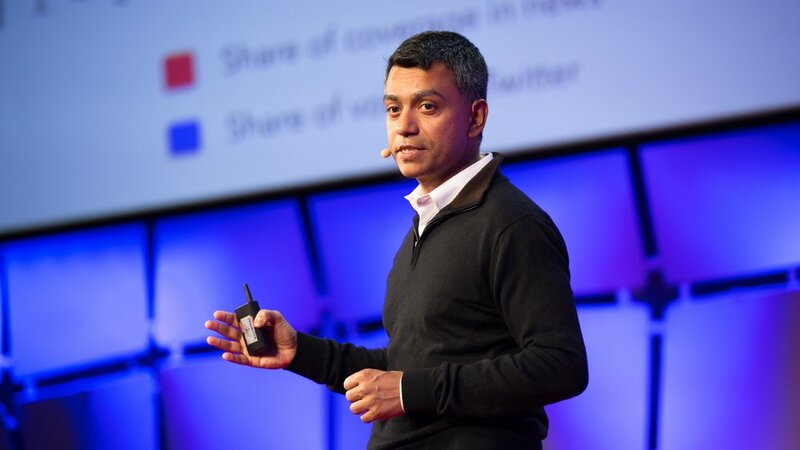 Our Metric of the Week is Audience Shrinkage, and Mark speaks with Deb Roy, co-founder of social venture Cortico and Chief Scientist at Twitter, to talk about his efforts to use AI and analytics to create healthier public discourse. All on this week’s MediaShift Podcast! Cortico | $900,000 | Twitter: corticoAI | Cambridge, Massachusetts: The 2016 election underscored the need to better listen to the voices of people who have gone unheard, to tell their stories and to develop a deeper understanding of a public sphere fragmented by digital technologies and political polarization. 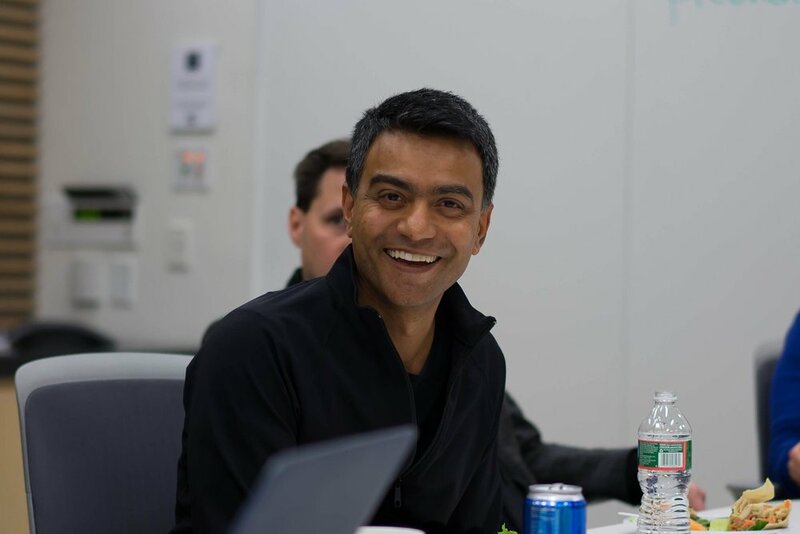 Cortico, a new nonprofit led by Deb Roy of the Laboratory for Social Machines at the Massachusetts Institute of Technology, will build a platform to address these issues, helping newsrooms surface and tell stories that resonate across this fragmented landscape to foster trust, empathy and common ground. Building on its expertise in social media analytics, Cortico will extend its platform to include multiple data sources (national news, syndicated/local talk radio, local news/forums, Wikipedia, survey panels) and to incorporate content and conversations at a local level. 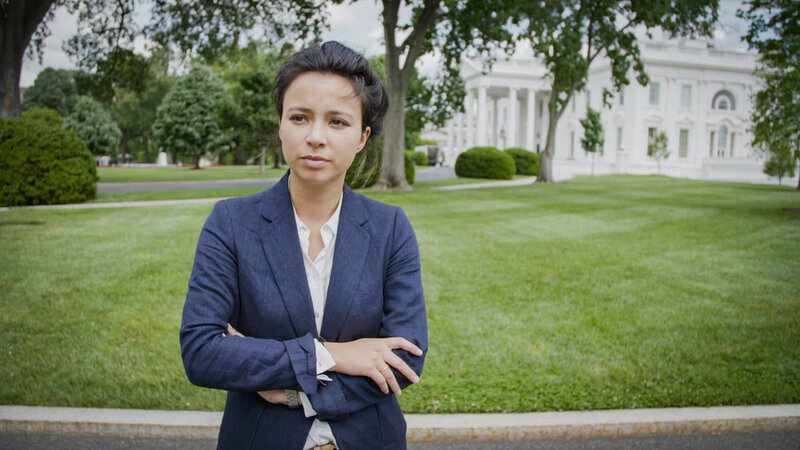 Knight has also put together a large panel of familiar names from the media to academia to tackle declining public trust in the press and other democratic institutions, with an additional $2 million in support. The venture-style investments include starting a new group, Win the Future, whose self-described goal is to make the Democratic Party relevant again. He also invested $1 million in Cortico, a start-up that encourages online discourse between people with opposing political views. How partisan Twitter users saw and shared different narratives of Charlottesville and the aftermath. After violence erupted in Charlottesville, Virginia, on Aug. 12, media coverage differed on what aspect of the event to cover. Using analyses from Cortico and the Laboratory for Social Machines at the MIT Media Lab, we looked at what partisan Twitter users shared during and after the events of Charlottesville. We found a clear split in the story as told through partisan sources. Earlier this week, striding across the stage at Apple’s annual developer conference in front of a crowd of thousands at the San Jose Convention Center, Tim Cook was animated and gushing, an evangelist for a series of new products and features. He’s looking at issues like free speech, political engagement and fake news. Reid Hoffman is ready and willing to spend potentially hundreds of millions of dollars in his quest to fix some of the country’s lingering political, social and economic ills. WASHINGTON (AP) — His "FAKE NEWS" tweets don't rocket like they once did. His exclamation points (!) don't excite quite the same old way. Donald Trump's 140-character volleys helped define the first 100 days of his presidency. But the traction on his medium of choice has slipped a bit as his tone and button-pushing tendencies have cooled. NEW YORK — They are the 140-character bursts that helped define the first 100 days of the Trump presidency. But Donald Trump’s tweets seem to be losing some of their impact. When Donald Trump swept to victory in the Electoral College on Nov. 8, perhaps no group was more surprised than journalists, who had largely bought into the polls showing Hillary Clinton was consistently several percentage points ahead in key swing states. Since Brexit, the Colombia peace agreement referendum, and an array of “surprising” election results in Greece, Austria, Philippines, France and Germany, that’s the question everyone has been asking. Email us at info@cortico.ai for general inquiries.